From the Pulitzer Prize finalist and author of The Moor’s Account, here is a timely and powerful novel about the suspicious death of a Moroccan immigrant—at once a family saga, a murder mystery, and a love story, informed by the treacherous fault lines of American culture. Late one spring night, Driss Guerraoui, a Moroccan immigrant living in California, is walking across a darkened intersection when he is killed by a speeding car. The repercussions of his death bring together a diverse cast of characters: Guerraoui’s daughter Nora, a jazz composer who returns to the small town in the Mojave she thought she'd left for good; his widow, Maryam, who still pines after her life in the old country; Efraín, an undocumented witness whose fear of deportation prevents him from coming forward; Jeremy, an old friend of Nora's and an Iraq War veteran; Coleman, a detective who is slowly discovering her son's secrets; Anderson, a neighbor trying to reconnect with his family; and the murdered man himself. As the characters—deeply divided by race, religion, and class—tell their stories, connections among them emerge, even as Driss’s family confronts its secrets, a town faces its hypocrisies, and love, messy and unpredictable, is born. LAILA LALAMI is the author of Hope and Other Dangerous Pursuits; Secret Son; and The Moor’s Account, which won the American Book Award, the Arab American Book Award, and the Hurston/Wright Legacy Award, and was a finalist for the Pulitzer Prize. Her essays have appeared in The New York Times, the Los Angeles Times, The Washington Post, The Nation, Harper’s Magazine, and The Guardian. A professor of creative writing at the University of California at Riverside, she lives in Los Angeles. "'Other Americans' take center Stage in a timely new novel... You feel like the promise of America can still come through after all." "Lalami gives us a searching exploration of the lives of several individuals with whom mainstream American society has a vexed relationship." 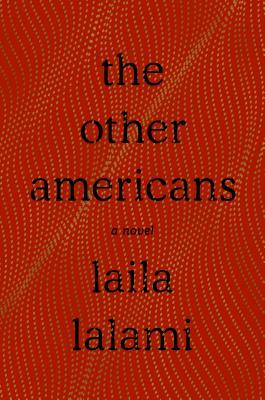 "A compelling portrait of race and immigration in America... Lalami is remarkably skilled at rendering the interior lives of her cast." "What a monumental challenge it is to reveal the state of America, to assert what unites and divides us — and what remarkable insight Lalami demonstrates by doing just that. Her interrogation is rigorous, and her provocations — about love’s dangerous power, the ties between resentment and privilege — resonate through to the last page." "A powerful novel of intolerance and compassion, resilience and weakness, love and loss, populated by flawed but sympathetic characters whose lives are rocked by actions and emotions beyond their control." "Pulitzer Prize finalist Lalami (“The Moor’s Account”) may be our finest contemporary chronicler of immigration and its discontents. Her new novel spares no one, and it’s the kind of page-turning mystery you crave for a rainy reading weekend. The book uses different perspectives to uncover the real story behind a Moroccan immigrant’s death in a California intersection." "From its first sentence, The Other Americans grabs the reader with its directness and urgency." "Laila Lalami describes all her characters brilliantly — literally so: They spring from the page. Readers can see many of them vividly, and empathize with the problems that shape their behavior, even while sometimes feeling irritation... The construction of this novel is deft. As the author moves among the characters’ tales, she engages different parts of our minds and hearts. Our feelings and ideas are enlarged. At the end, the Americans in these pages are no more “other” than anyone else in this nation of immigrants. The novel has done its job because of Laila Lalami’s extraordinary descriptions of personal dynamics and her evocations of place, especially the desert." "Lalami’s crisp, straightforward prose offers the perfect counterpoint to the complexity of her plot, which artfully interweaves past and present. Reminiscent of Ann Patchett’s Commonwealth in its depiction of the enduring effects of family secrets and betrayals, The Other Americans also addresses a multitude of other issues—immigration, prejudice, post-traumatic stress, love and murder—with what can only be described as magical finesse." "Powerful...In a narrative that succeeds as mystery and love story, family and character study, Lalami captures the complex ways humans can be strangers not just outside their “tribes” but within them, as well as to themselves." "Lalami is in thrilling command of her narrative gifts, reminding readers why The Moor's Account was a Pulitzer finalist...Nuanced characters drive this novel... Lalami expertly mines an American penchant for rendering the 'other.'"